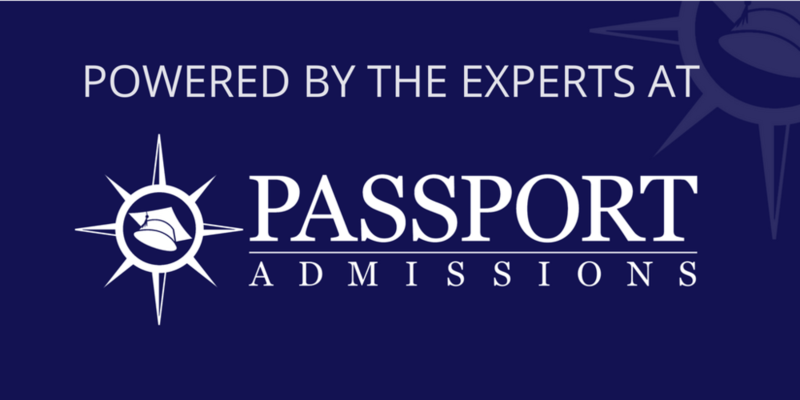 We at Passport Admissions have helped 250 pre-meds (and counting) apply and get into medical school over the past nine years. Approximately half of those students attended one of the UC schools. We've seen what the applications of UC students look like, from grades to extracurriculars to letters of recommendation. "If you had to choose your college all over again for your pre-med career, would you still choose a UC?" Roughly 80% say no. The other 20% say, "well..." and then give an extended list of the pros and cons of going to a UC. This isn't to say that the UCs are terrible places to be pre-med, but merely that they aren't a good fit for a lot of students who want to be pre-med. system is a veritable pre-med factory, churning out hundreds of applicants to medical school each year. Furthermore, most campuses are connected to awfully good medical centers, so why wouldn't a UC be an amazing place to spend your pre-med years? You have to work your tail off to get good grades in science classes at the UCs, which are often graded on a curve. A curve means you're directly competing against the other students in the class. 10% of the class will get A's, 20% B's, and so on. No matter how well you perform, if you don't beat enough of your fellow students, you won't get an A. As a result, many pre-meds come out of a UC with mediocre grades, which put them at a tremendous disadvantage when applying to medical school. These very same students--had they gone to an easier undergrad--would potentially have gotten much better grades (the students we ask believe they would). Hundreds more students at UCs start out as pre-med and switch because of these bad grades. Perhaps it's better that they learn their lesson early on instead of waiting until medical school to realize they don't have what it takes to compete, but many of these students compare themselves to a false peer group of hyper-competitive pre-meds, assume they don't have what it takes, and drop out. The counterargument might be that since the courses are so rigorous, medical schools would look favorably on the applicants. Perhaps medical schools would give these students a GPA boost when compared to students from other colleges to help offset the difference in difficulty between a UC and another school. In that case, we would expect the acceptance rate at a UC to be significantly better than the national average. Since it's so hard to get into a UC, we would expect these pre-meds to be able to perform at a high level in the classroom and on the MCAT, and as a result, they should get into medical school at an excellent clip. They don't. Let's look at the numbers for 2015. Unfortunately, many colleges make this information hard to find. In a perfect world, these colleges would release this information publicly so that we can compare apples to apples. Sadly, though, we can’t. As a proxy, we turn to two schools that should be praised for putting their numbers online: Berkeley and UCSD. Berkeley’s percentage only includes the acceptance rate for first-time applicants, while the national rate includes both first-time and repeat applicants. In our experience (and in that of a medical school admissions committee’s) re-applicants get in at a lower rate. Not included in the application statistics are the hundreds of students who enter UC Berkeley as pre-med but never end up applying to med school. Although true of many pre-med factories, introductory science courses at Berkeley serve as weed-out classes, forcing many prospective pre-meds to change their majors and career paths. Even taking Berkeley’s numbers at face-value, what are we to make of them? Given the high standards of admissions for UC Berkeley, wouldn’t we expect their students to get in at a relatively higher clip to medical school? Given that Berkeley’s median SAT score is a 2055 (or a 95th percentile score nationally), wouldn’t we expect those students to do significantly better than average on the MCAT? None of this is meant to rip on Berkeley specifically; instead, it’s merely meant to show that there is more than meets the eye when choosing which college is the best place to be pre-med. That's right. The acceptance rate for this "excellent pre-med school" is below the national average. Clearly, medical schools aren't giving much (if any) credit for the demanding coursework, since UCSD students have relatively paltry success in getting in. Unfortunately, grades aren't the only problems that UC pre-meds face when applying to medical school. As a pre-med at a UC, your science classes will have hundreds of students. To accommodate the increasing enrollment in recent years, the UCs have started to book not just one lecture hall but two: if you show up early enough, you can get into the lecture hall with the professor, but if you show up on time or late, then you get a seat in the lecture hall with a video screen broadcasting the professor from next door. So, what, go to office hours? You'll often find 20 other pre-meds, all trying to get to know the same professor. Many professors have policies to filter the flood of letter of recommendation requests they receive: get an A in two or more classes and work in my lab, or no letter for you. To apply to medical school, students must seek letters of recommendation from three or more professors, and the best letters are from professors who know students well both inside and outside of the classroom. Every question you have about letters of recommendation. How to write your own letter of recommendation. Many pre-meds at the UCs only get to know one professor on a personal level (or, sometimes, they don't get to know any), and as a result, they get a generic letter of recommendation to fill in. The problem, of course, is that their compatriots at smaller schools have a much better chance to get to know professors well, and as a result, have more people vouching for them when time comes to apply. It may seem like a small disadvantage, but it isn't: letters of recommendation are the only aspect of the application where others vouch for you. The saying, "damned by faint praise" certainly applies to many pre-meds, and as a result, their chances of getting in are diminished. Help with figuring out the best courses for you to take to get good grades, do well on the MCAT, and get into medical school. Help with figuring out which schools are appropriate for you, based on your application profile. Help with the pages and pages of essays that it takes to apply to medical school. Help with polishing your interview skills. The advisors at the UCs do the best they can, but they're facing an uphill battle in providing personalized advising: the pre-meds vastly outnumber the advisors on campus. These numbers only reflect the people who are actually applying to medical school. These dedicated pre-med advisors are also responsible for another 2,000 or so future pre-meds who may need guidance about their courses, how to prepare for the MCAT and what they should be doing to become a competitive candidate. The UC’s try to provide resources - small-group sessions and peer advising, to name a few - but it’s impossible for them to provide the dedicated guidance that students at smaller schools get. There are other drawbacks to being pre-med at the UCs as well: it can be hard to get your introductory science courses (so it takes longer to graduate); there's no pre-med committee letter of recommendation (which medical schools typically prefer); and every opportunity to do research or volunteer has dozens of applicants. There are advantages too. For one, you get to go toe-to-toe with some very smart people. Survive at the UCs and you should be ready for the rigors of medical school. Second, the UC education is affordable, and with the amount of debt you'll take on in medical school, it's good to keep your college costs under control. And finally, opportunities abound at the UCs to get involved, do research, and be whoever it is you want to be. The bottom line is this: don't just assume that because a school has a good reputation that it's a good place to be pre-med. Carefully weigh the pros and cons before picking the best college for you. Can Applicants Bribe Their Way into Medical School?